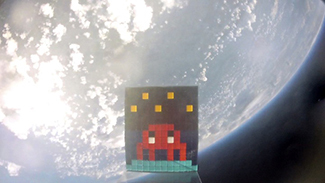 Invader‘s trademark, the so recognisable pixelated alien character from the even more famous arcade game from the 80’s has been seen by a large amount of people on street corners across the world. The monster has now taken a dip in the ocean and can be seen deep down in the water. 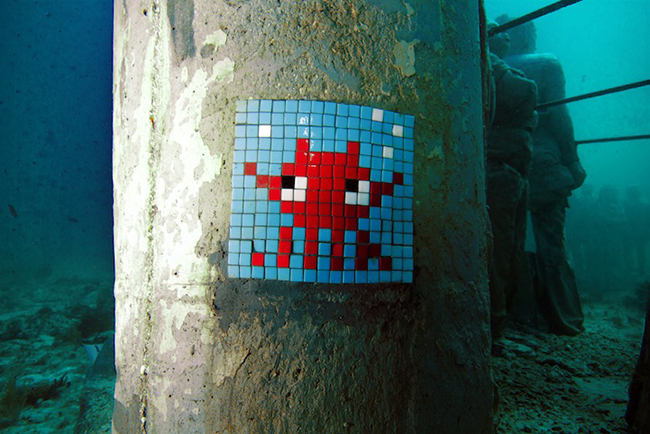 Invader teamed up with sculptor Jason Taylor deCaires, known for his underwater sculptures, and stuck his characters of Jason’s works. 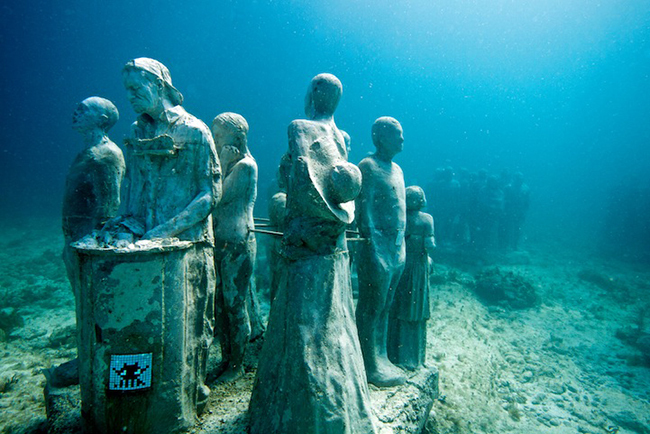 The result is pretty surreal and I would like to get my scuba diving gear on and have a look at it. 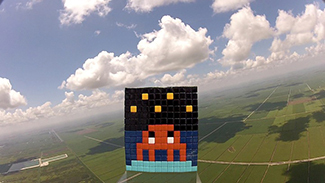 Invader also went high, very high in the space. The artist engineered a device that propelled the alliens to back to where they belong, space. 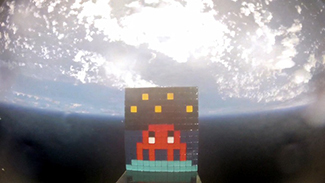 Luckily for us, Invaders thought of equipped the device with a camera so we can enjoy the astonishing pictures below. 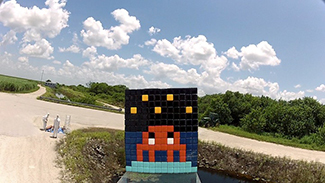 Last but not least, we have included a video “Green Invaders” is a light installation by the French artist Yves Caizergues, based on the classic video game Space Invaders. It formed part of the 2012 Scotiabank Nuit Blanche, where the streets of Toronto, Canada are given over to a festival of street art. This installation was outside the Sun Life Financial Tower at 150 King Street West.